From under-gardener to garden designer and consultant, and all round good gardening egg, Capability Brown is England’s favourite trophy in 2016. Hailed as the ‘father of landscape architecture’, every tourist board worth their salt is championing his creations, large and small. And why not. A quick squizz at this Capability Brown map reveals just how much of the country’s landscape he touched during his lifetime. In terms of scenic walks, garden spectacles and general green fingered envy, he done good. 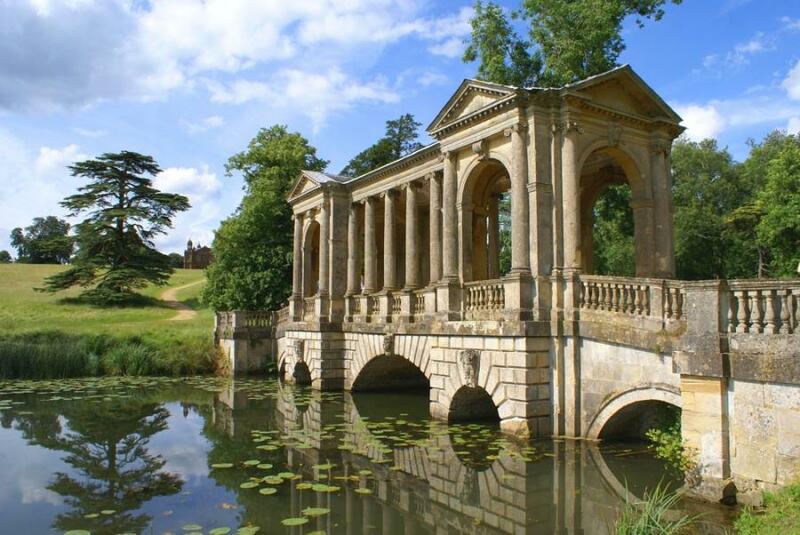 His most famous works are the gardens at Stowe and the acclaimed masterpiece, Blenheim Palace. But another sneak at that map, and you’ve probably enjoyed more than a couple of Capability Brown designs – there are something like 260 of them around England. Until 2016 though, you may not have even realised it. So without further ado, and to chime with National Gardening Week 10-16 April 2017, we take you on our own Capability Brown tour de force celebrating his tercentenary. 27 acres of grounds were landscaped here some 143 years after the hall was built in 1613. One of Brown’s creative devices, the ha-ha, appears here. This clever idea, a kind of sunken fence, acts as a barrier for livestock to keep them out of the formal gardens without the visual obstruction of a fence. Brown worked at Trentham Gardens in Staffordshire for 21 years. During his tenure he was responsible for the creation of a mile long lake and adjacent parklands. The gardening team of 2016 has set itself the mission to go about clearing and revealing the original Brown creation in its entirety. Now that’s dedication. Despite an inability to connect Lancelot with Wallington, the National Trust will be celebrating his ‘capability’ with bells and whistles. Why? He was born just two miles away in the village of Kirkharle. And although Browns’ brother worked at Wallington, the closest Brown came to it was a wander through the estate to and from school every day. Given the noise being made at Wallington, it’s actually pretty difficult to spot the Brown connection with Sheffield Park. But if you dig around you’ll find that Brown was hired to remodel at least part of the 100 acres with its five lakes that are connected with beautiful waterfalls and bridges. The grounds at Petworth are thought to have been one of Brown’s first consultancy contracts and he was commissioned by the 7th Duke of Somerset. His most spectacular embellishment of the previous formal garden is the serpentine lake overlooked by the house. This dramatic red sandstone castle near Dawlish has some of Lancelot’s most intricate landscape architecture amidst 164 acres of parkland. In 1773 he’s thought to have designed the Italian style terraces and the sunken garden. The Clifford family that hired Capability Brown to remodel the grounds and garden in the mid 1700s, is the same family line that still lives at Ugbrooke today. In this rolling Devon valley of Chudleigh with its lakes and clumps of Brown-placed trees, you find Brown’s influence little changed and largely loved. No surprises that our Lancelot was involved here. This Elizabethan prodigy house is a spectacle in itself and home to the Earls of Radnor. Its pleasure grounds and parklands are said to have been ‘improved’ by Lancelot around 1778. A family favourite owned by the colourful Lord Bath, Longleat and its safari park are set in enormous grounds. Those within which the house is set were landscaped by Brown – this is thought to be between 900 and 1,000 acres! So plenty of room to add in a maze as well. Capability Brown was commissioned to landscape the gardens here early on in his contracting phase, circa 1750. Brown was at one with seniors in society back then and was hired by the 1st Earl of Warwick to transform the castle’s grounds into gardens fit for a stately home of its era. NB those undulations ain’t natural – every hump, curve and tree was determined by the capable guy’s vision. When there’s a castle in town, everything else gets nudged down the pecking order. Even though Ragley was abandoned in the early 20th century is has been restored to former glories. And its 400 acres of parkland that are Brown’s work contribute to the hall’s reputation as one of the ‘must-see’ gardens in Warwickshire. Lancelot ‘Capability’ Brown landscaped the parklands here between 1772 and 1782 and includes an arboretum. Said to be Yorkshire’s best kept secret, today you can explore Brown’s work along a network of walking and wildlife trails. It is said that Brown learned his craft amidst the giant playing field that is the gardens at Stowe. And if so, he left a more than favourable legacy. Events at Stowe in 2016 celebrate the rise of the under-gardener to head gardener and all of the tricks of his landscaping toolkit.